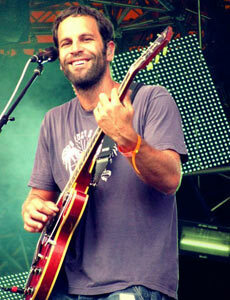 Jack Johnson Biography, Discography, Music News on 100 XR - The Net's #1 Rock Station!!! 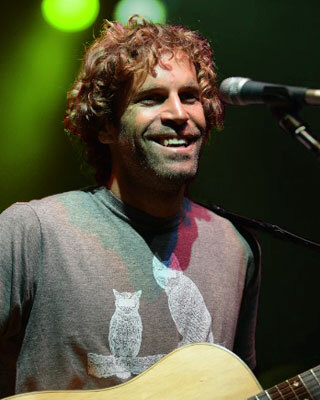 Born and raised on the North Shore of Oahu, Hawaii USA, Pop-Rock singer + guitarist & songwriter Jack Johnson began surfing the Pipeline at age ten and started playing guitar when he was fourteen. Johnson left home to study film at University of California. Returning to Hawaii he worked on surf cinema documentary entitled "Thicker Than Water". By this point he discovered his music talent and in early 2001 released his first album, "Brushfire Fairytales"; the record made an impressive impact at radio with an adult-alternative slant reaching the #34 on The Billboard Top 200 chart. It included the single "Flake" which peaked at #22 on The Modern Rock chart and another Modern Rock top 40 hit, "Bubble Toes". Johnson's second full-length CD, "On And On", was released in May 2003, the record shot to #3 on The Billboard Top 200 chart on the back of the Modern Rock top 40 hit "The Horizon Has Been Defeated" which proceeded to send "On And On" past the platinum mark; he supported the release of his second album with a summer tour with Ben Harper. Two years later, "In Between Dreams", climbed the North American Albums charts reaching #3 in Canada and falling just one position short of #1 in the States upon its March 2005 release; the CD also hit #1 in U.K. and Australia. In U.S. the first single, "Sitting, Waiting, Wishing", peaked at #25 on The Modern Rock chart and was followed by two alt-Rock top 40 hits: "Breakdown" and "Good People". 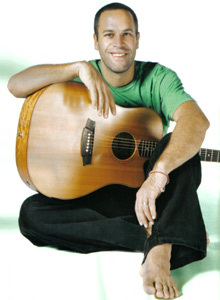 Jack Johnson didn't monkey around when he was asked to compose the soundtrack for the animated film, "Curious George", the 13-song set peaked at #1 on both The Billboard 200 and the Top Canadian Albums charts; the first single off the CD, "Upside Down", reached #25 on The Modern Rock chart and even crossed over into the top 40 of The Billboard Hot 100. The acclaimed singer + songwriter enlisted the help from some of his friends to duet with him on the album, Johnson partnered with Ben Harper for a version of Harper's "With My Own Two Hands" and played on "Jungle Gym" with G. Love. His next studio album, "Sleep Through The Static", was released in February 2008; the disc followed suit of its predecessors and quickly ascended to the #1 position everywhere, from U.S. and Canada to U.K. and Australia. The album's main single, "If I Had Eyes", debuted within the top 10 of the U.S. Hot Modern Rock chart and the follow-up, "Hope", reached #30 on the same chart. 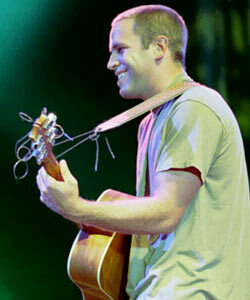 In June 2010 Jack Johnson unveiled his fifth studio album, "To The Sea", a new worldwide #1 hit; the CD opens up with "You And Your Heart" which achieved a career-best peak of #20 on The Billboard Hot 100 and hit #13 on The Rock Songs chart. "At Or With Me" was the second single to be pulled from the album, it reached #36 on the Billboard's Rock Songs list and its follow-up, "From The Clouds", reached #33 on the same chart. In mid-June 2013 the Hawaiian-born artist released the first single, "I Got You", off his new album, "From Here To Now To You", which is due to be released on September 17, 2013.